Boy, the buyers were busy at the Frankfurt Book Fair. Deadline says that Summitt Entertainment has picked up the rights to Deadmail by Laurie Frankel. The book which which the author herself had tentatively titled "Goodbye for Now" will be published by Doubleday next year, is about a computer genius who dreams up a novel way of communicating with the dead. Yep. Deadmail. The rub is that when the woman he loves dies, he has to come to grips with a sad fact of life. Use his creation to keep her close, or let go. That's terrain we've seen before - remember Always, Stephen Spielberg's take on the subject starring Richard Dryfuss and Holly Hunter back in the 80's? But the email angle puts a whole new spin on it. We'll have to wait and see before we talk about characters and actors but it sounds like it has potential. In the meantime, Frankel's first book, The Atlas of Love, just came out in paperback. 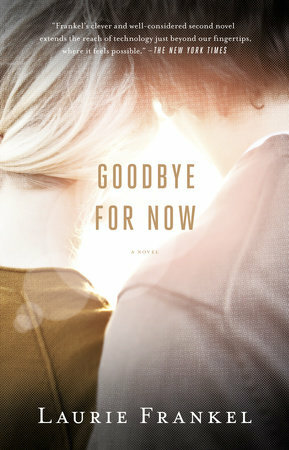 UPDATE: 11/5/2017 Penguin Random House went back to Frankel's original title, publishing Goodbye for Now in 2013. That movie from Summit? It's still in development hell!